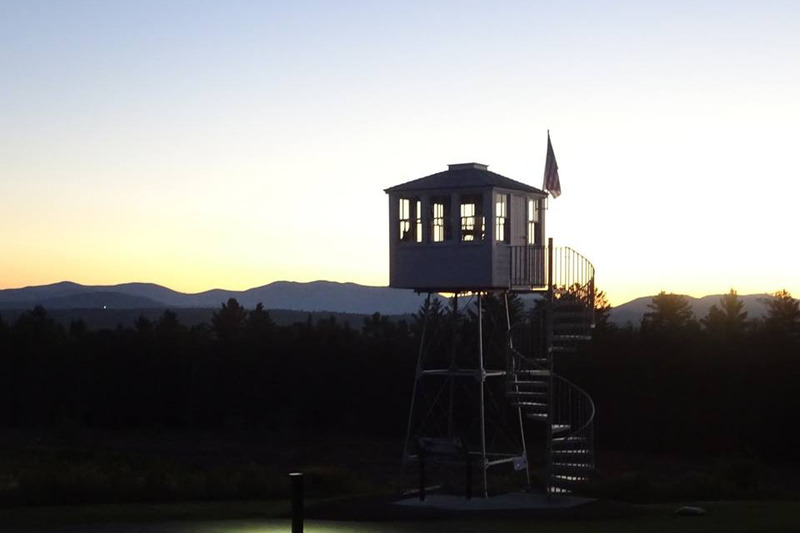 Last year, NREC finished restoring the first manned fire tower in the nation at our Visitors' Center in Greenville, ME. It is magnificent to see the tower standing tall over the Moosehead Lake region again. This year we plan to reconstruct the fire watchman’s camp that was built on the trail to the top of Big Moose (formerly Squaw) Mtn. The cabin will have dual purposes. 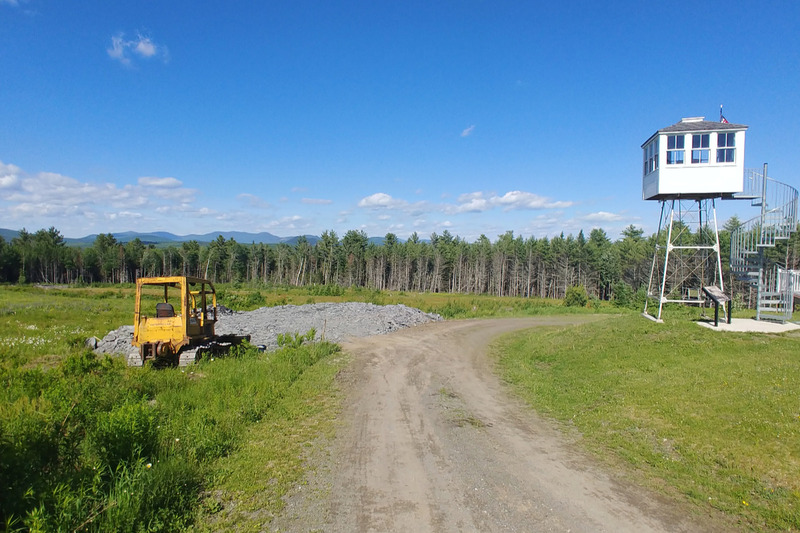 First, just like the fire tower, there will be educational material about the natural and cultural history of the area. Last year, over 7,000 visitors stopped by the Visitors' Center campus. So, this is a great opportunity to enhance their experience. 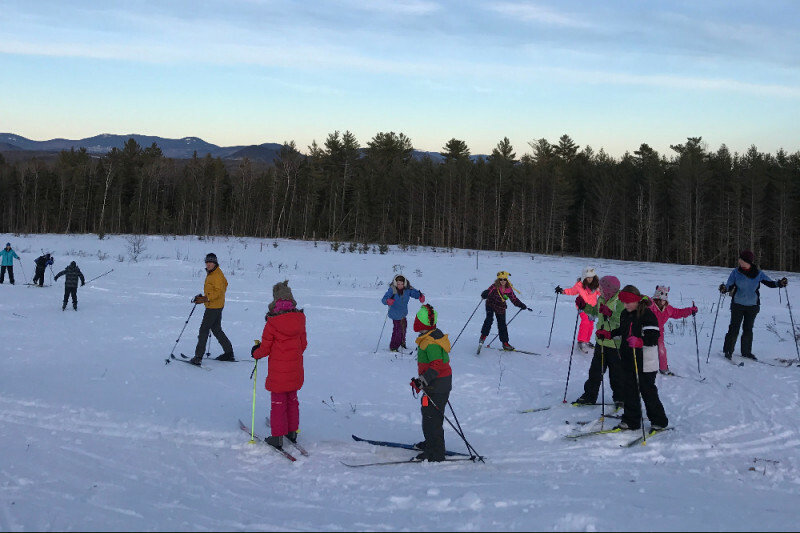 Most importantly, the camp will serve as a warming hut for the afterschool cross-country ski program that is held at the Visitors' Center. 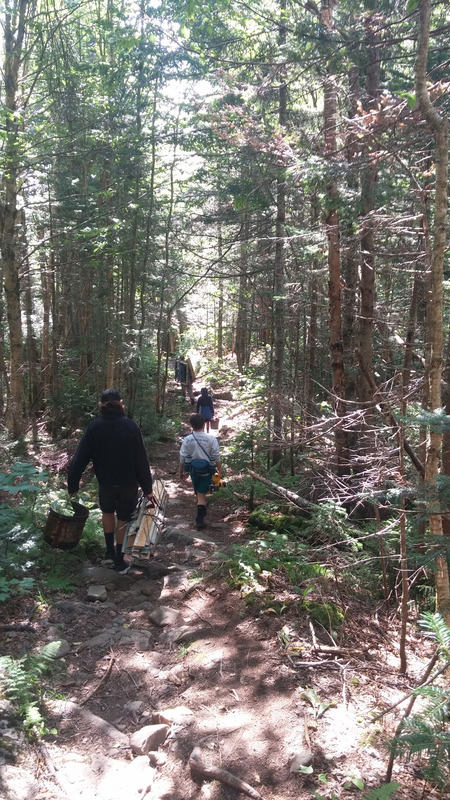 It is a windy location and the kids need a place to change into their gear and also to wait for their parents to pick them up after a vigorous afternoon of gliding through the woods of Maine. There will also be a storage area so the kids can leave their gear each week and not have to carry it to school or on the bus. The total project will cost about $30,000 and we want to raise 1/3 of that through GoFundMe and other donations that will be used as match for grants this spring. We plan construction in the fall of 2017. Be sure to watch CBS this Morning with Jane Pauley tomorrow morning. There is a good chance that our fire tower will be on the Almanac segment! NREC has received a $7,000 grant from the Piscataquis County Fund of the Maine Community Foundation! To date we have raised over $21,000 for the project which we estimate will cost a total of $35,000. We plan to break ground this summer and get the earthwork finished while we raise the remaining funds. 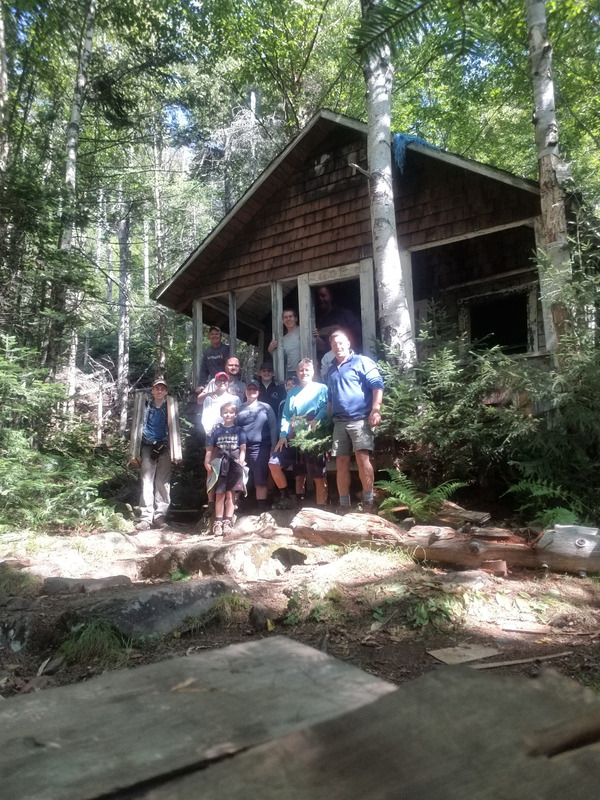 The weather was perfect on Saturday morning for a hike to the original fire watchman’s cabin on the trail to the top of Big Squaw Mtn. The crew arrived at the trailhead at 7:30am and marched about half way to the summit to the old camp. The old camp is in pretty rough shape and not very safe, so it is scheduled for demolition this winter. We were able to salvage a few artifacts that will be included in the construction or used as reference for the new cabin to be constructed near the firetower on the Visitors’ Center campus. NREC would like to thank the Wallace family, the Cronk family, Larry Esworthy, Tom Watt, and Bill Cobb for all their volunteer on this project. 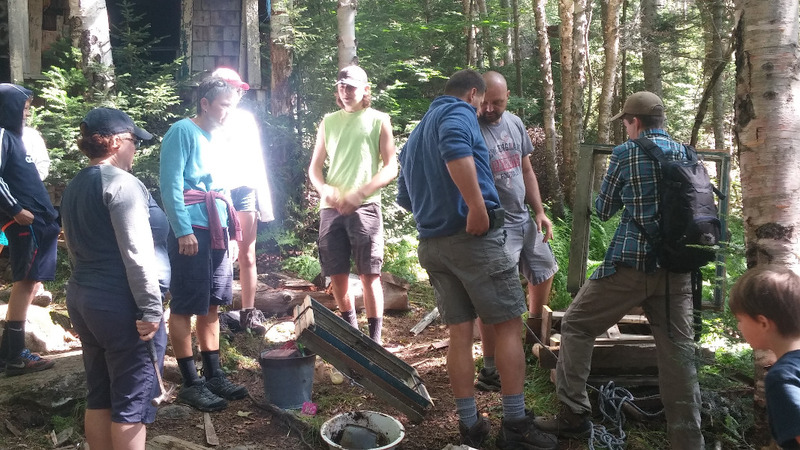 We are working hard to raise the funds necessary to construct a replica of the camp that will serve as an educational exhibit and as a warming hut for the afterschool youth cross-country skiing program held at the Visitors’ Center. It’s not too late for you to be a part of this great community project. The more money we raise on the GoFundMe site, the better our chances of securing other grants. Please consider making a donation today! Good luck...cant wait for this project! GOOD LUCK IN YOUR GO FUND ME!! Match for the Challenge Donation by Cathy and Jock!